How do I import exported order ? Note: This value will help higher authority to identify the sales executive who has placed the order. The series part from this value will be unique for each executive. >> Sales order id configuration. 2. Now when you will place order, the Order Id will be displayed which will consist of Series and Number. Then the ORDER ID will be ABC100. This series value will be same for every order that a particular sales executive will place, only the number part will change for each order. 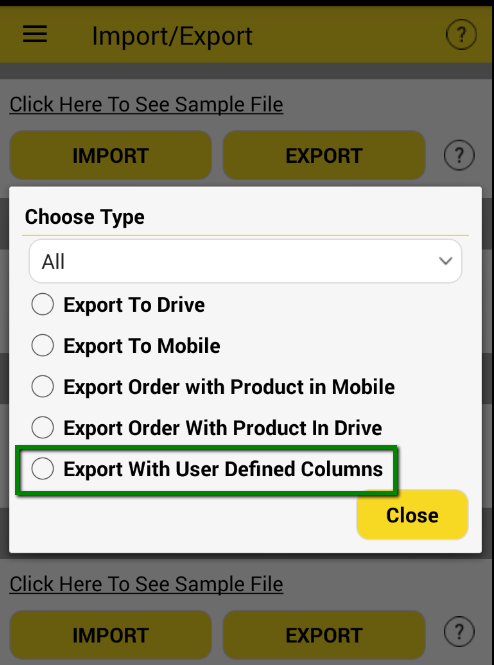 >> Export with user define column. >> Now share this exported file with owner or higher authority. By Satish Mantri|2018-09-11T08:21:11+00:00May 8th, 2018|Comments Off on How do I import exported order ?